One of my favorite authors/illustrators is Tasha Tudor and I've been collecting her works for quite some time. I frequent library book sales and Tudor books are always on my wish list. 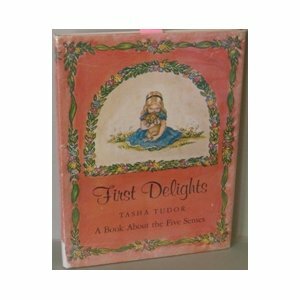 First Delights is one of the books I found at a church rummage sale so I probably paid 10 cents for it. My daughter is in first grade and we were reading about the five senses in her science book. I was so thrilled to bring out this book to really bring the lesson home. It certainly makes one wish for the simplicity of country living. The story is about Sally who lives on a farm. The book goes through the year and shares how Sally experiences the seasons with all of her senses. She sees, hears, smells, touches and tastes unique and wonderous things in each season. In a world of diminishing contact with nature, this book is a gentle and winsome reminder to get outside and experience creation with all your senses. We definitely need to be getting outside more and exploring the world up close and personal. And we have no excuse not to since we live near a beautiful state park with water and trails. I hope you'll get to know Tasha Tudor yourself. Please investigate the Tasha Tudor and Family website and get a glimpse of this incredible artist and the works of her hands. If you are an aspiring artist or enjoy keeping a nature journal, Tudor's work would be a worthy model for anyone. May you experience your own delight in discovering the literary gems of Tasha Tudor! We love Tasha Tudor's illustrations! We love Tasha Tudor books. Her pictures are wonderful. 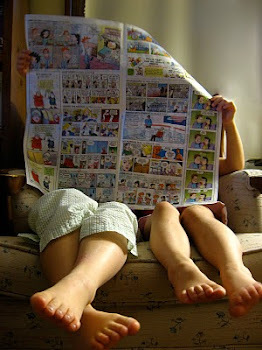 Now that my kids are older we haven't read any of those for a long time.